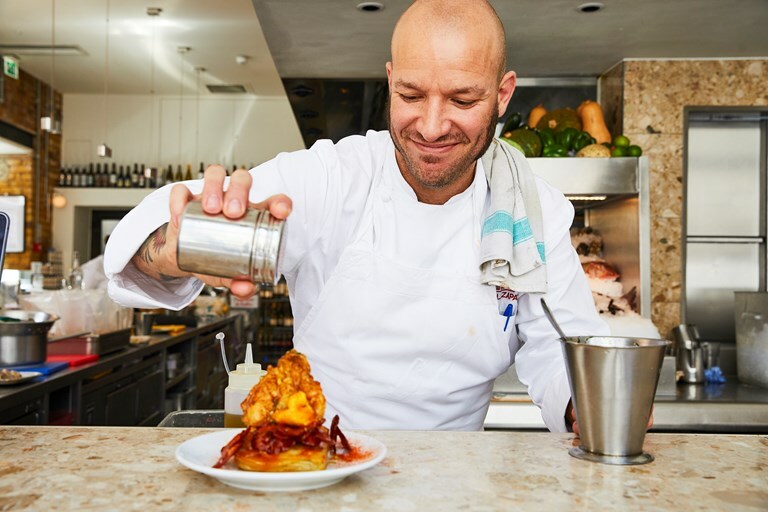 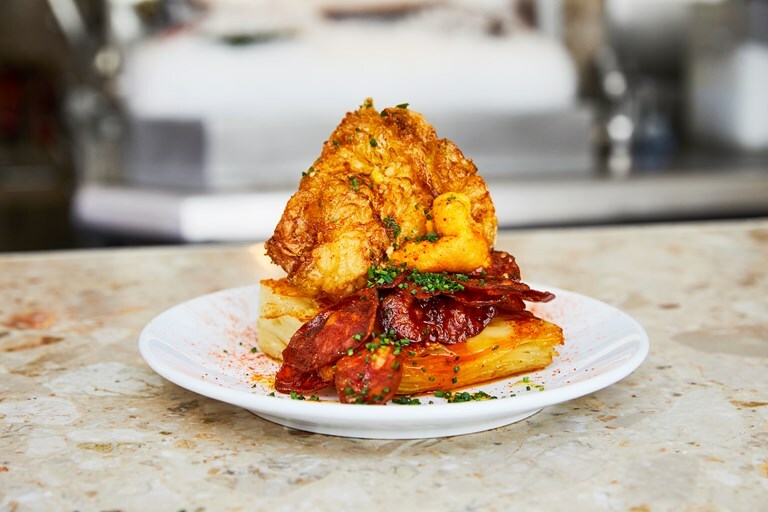 Angel Zapata Martin, executive head chef at Barrafina, serves up a cheffy take on this Spanish breakfast classic, also known as huevos estrellados. 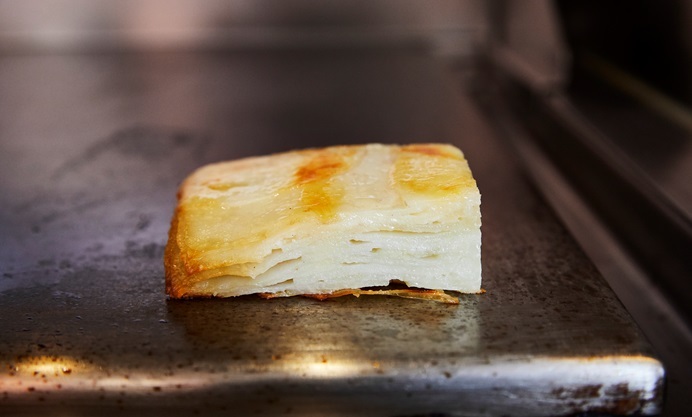 A rich potato terrine, layered with plenty of payoyo cheese, is baked before frying off and serving with crispy deep-fried eggs and crisp, delicious baked slices of chorizo sarta. 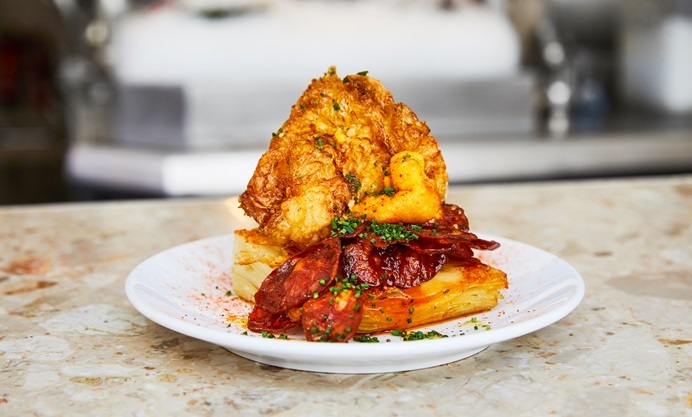 A stunning dish that would go down as well at dinner as it would for breakfast.